"Got our for a bit of play on the A-Hole yesterday. It was great as usual. Plenty of water to throw ends, loops and a bunch of other tricks that I can't do. This is by far the best the hole has been since I've been paddling it for the last couple of years. The new rocks Arn placed last fall have made a huge difference. The hole is really even all the way across with a nice pile right on top of the loop slot in the rocks. Warm water, 70 degrees and sunny... What an unbelievable mid-May day. 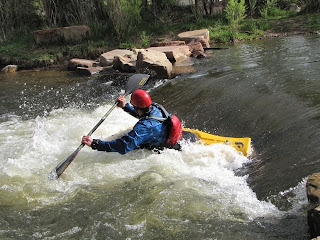 Also did some slalom paddling a couple of days ago below the October Hole. That's such a perfect spot to get a work out in. Even with just four gates, the water is so dynamic below that hole that it's a great little training spot. I get reallly excited when sees people doing river rafting. 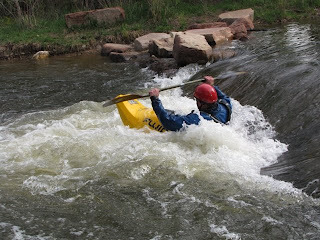 Can you tell me some spots in colorado where i can do river rafting, I am new to the state.